to fix a blocked pipe? Call the specialists at Fullbore Pipe Relining today. Fullbore Pipe Relining - Specialists in pipe relining services. All with a 10-year product installation guarantee. and draining systems are in 100% working order. Our team is committed to providing the best solutions for your damaged plumbing. We can stop leaks, increase water and sewage flow and renew the original pipe. Unlike our competitors, we do without any digging or excavation that is likely to destroy your property. We pride ourselves on ensuring that there is as minimal disruption to your life as possible. While we take care of everything, you are always in complete control. From inspection to repair, we’ll keep you informed. All of our technicians are licensed installers. They are all work-safe approved and have had ample experience in their field. We have years of experience, making us industry experts on repairing your plumbing. We pride ourselves on customer satisfaction, ensuring you are completely satisfied with our services from start to finish. We survey and permanently repair your drains, and then clean up your property, without you even knowing we were there. Our materials come with a 40-year life expectancy, with a 10-year product installation guarantee. What have you got to lose! At Fullbore Pipe Relining, we provide a number of services including CCTV surveying, draining, and pipe relining. We understand how important it is to keep your residence or commercial property in full working order. This is why we use Nu Flow technology, the world’s premier solution for pipe repair and rehabilitation. We always strive to provide an extremely high standard of service and workmanship, guaranteeing you complete peace of mind, as well as the knowledge that all our work is completely safe and secure. If any of this sounds confusing, don’t worry; it’s all easy because we take care of everything. No extra work for you, just an increase in your customer base. We pride ourselves on delivering the highest standards of service and workmanship on every job. We know how hard it is to find an honest tradie. You can rest assured of a competitive, transparent price and service. All of our technicians are licensed Nu Flow technicians. Nu Flow is the world’s premier solution for pipe repair and rehabilitation. We have the results to back us up, we don’t have to speculate, and we know we can succeed. Peruse our client testimonials. We have been repairing and rehabilitating pipes for years, making us the experts in eradicating all manner of plumbing issues. Our materials come with a 40-year life expectancy, as well as a 10-year product installation guarantee, for peace of mind. From our office staff, through to our technicians and plumbers, our entire team provide superior quality, reliable service. Why dig up metres and metres of earth, destroying your property in the process, to access damaged or blocked pipes? We can help fix a number of pipe and plumbing issues, including pipes that are blocked by tree roots or other plant material, and broken, crushed or cracked pipes that are leaking. 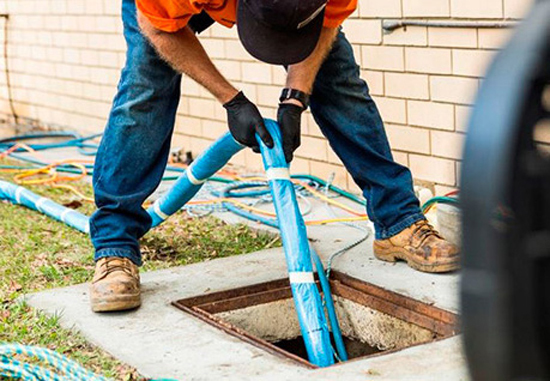 At Fullbore Pipe Relining, we are committed to providing the best solutions for your damaged plumbing and pipes. Our services include everything from pipe relining and jet blasting through to CCTV surveys and general plumbing assistance. Best of all, every single one of our services is delivered by experienced, friendly, reliable experts and come with a long-term guarantee. Like what you've seen? Then use our enquiry form to get in touch. We promise we’ll respond quick smart. We’re always excited to turn our services into solutions for new clients.